All we have to do is to select a background of our choice and that is it. The Office Background changes to the one that we have selected. 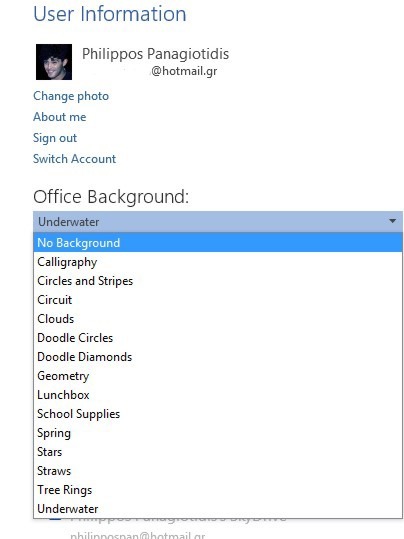 In the image below I have selected the Underwater background as we can see in the top right corner of the application. In the image below I have selected the Lunchbox background as we can see in the top right corner of the application. In the image below I have selected the Stars background as we can see in the top right corner of the application. That is it. We have a happy and pleasant new environment to work around with. No matter in which application we are running like, Word, Excel, PowerPoint, Outlook whatever changes we make in one application will be applied for the rest also. 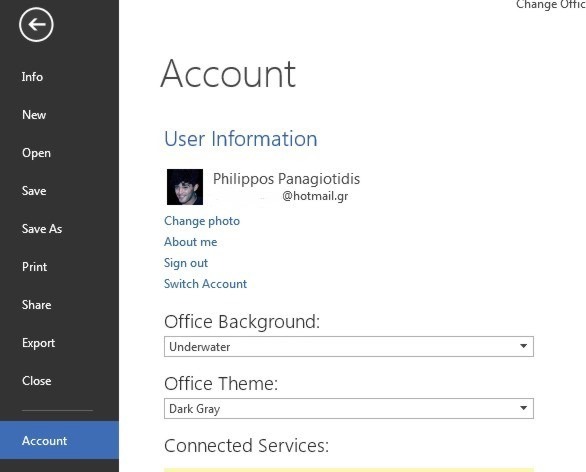 Below you can check out the video describing how to change the Office Background and Office Theme in Microsoft Office 13. Posted on November 12, 2013, in Microsoft Office 2013 English, Office 2013 English and tagged Account, Microsoft Office, Microsoft Office 13, MVP Office System, Office Background, Office Smart, Office System, Office Theme, Smart Office, Tips and Tricks. Bookmark the permalink. Comments Off on Change The Way Office 13 Looks Like.